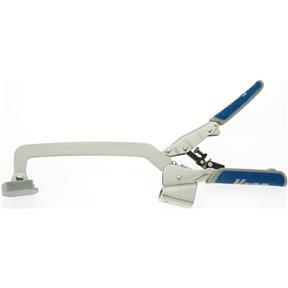 Kreg KBC6 - Automaxx Bench Clamp 6"
Auto Adjust™ technology automatically adjusts to any thickness and clamps materials up to 4-1/2" thick. 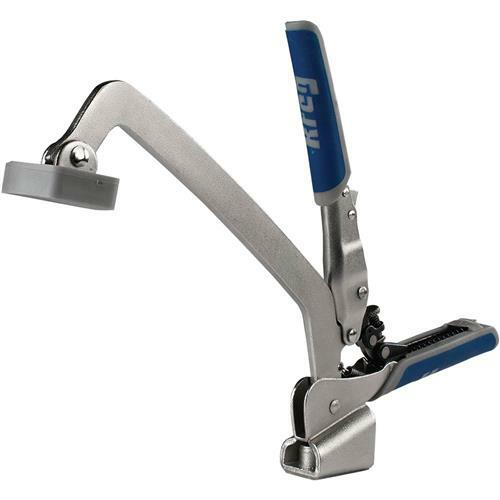 Easy to regulate clamping force uses just a simple thumbscrew and extra-large padded clamp spreads clamp pressure evenly. Heavy duty, all metal construction, but with ergonomic padded grips to prevent hand fatigue. 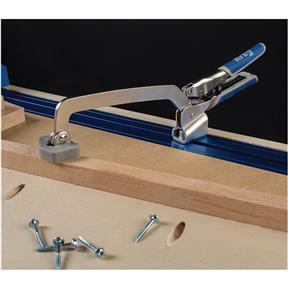 Compatible with Kreg Klamp Plate, Klamp Trak, and Klamp Vise Plate.